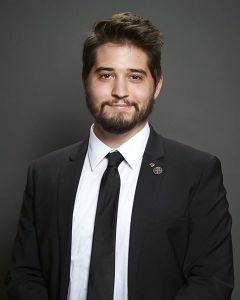 Tanner Clay Darbonne, from St. Thomas More Church parish, is a third-year seminarian currently studying at St. Joseph Abbey Seminary in Covington, Louisiana. He is the son of Charley and Robin Darbonne of Eunice. Tanner is 21 years old and is a graduate of LSU-Eunice. He attended UL-Lafayette, where he was heavily involved with the Ragin Cajun Catholics until his discernment.